We are the Official Supporters Club of Tottenham Hotspur in Columbus, Ohio. We call Endeavor Brewing in Grandview our home. After years of small gatherings in Central Ohio, we gained official status during the 2015-16 season. 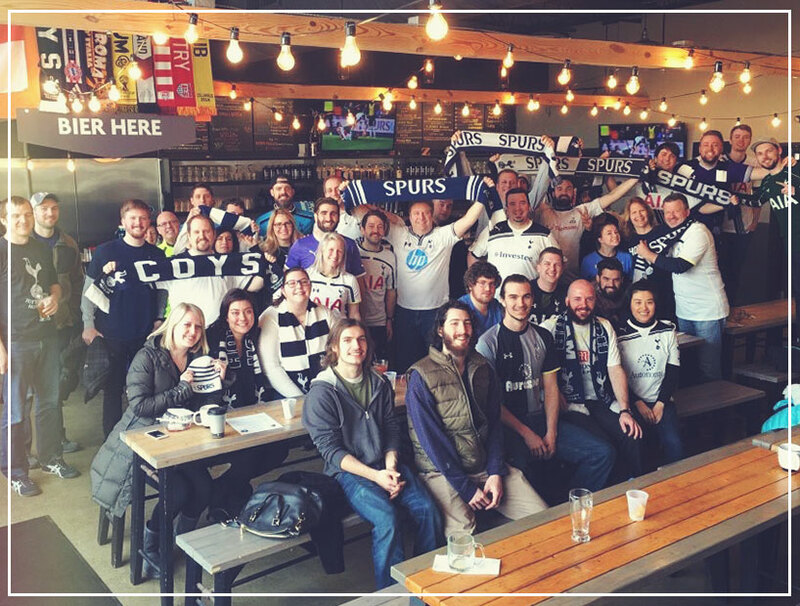 Our mission is to provide fan support to the club we love in a way that honors the history and tradition of Tottenham Hotspur. We are a passionate bunch that aims to build camaraderie with anyone who shares our affection for THFC. If you live in the area or are just passing through, please grab a pint with us at Endeavor Brewing in Grandview on match days!